ASKO ovens are versatile and strong appliances designed to encourage culinary perfection. The ASKO OP8676S Series 7 Pyrolytic Oven is packed with features that invite chefs to expand their cooking repertoire with certainty about the delicious results. Pro Series ovens are built to stand the test of time and allow users to evolve with culinary trends, while the Scandinavian design principles ensure ASKO ovens look great, function seamlessly, and add a sense of style to any kitchen. The OP8676S Pro Series Oven is much more than a conventional oven. 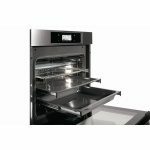 ASKO are the multifunctional oven leaders and this pyrolytic oven uses cutting-edge technology to simplify use while maximising cooking potential. From defrosting using only warm air, to self-cleaning using pyrolytic (heat) principles or simply cooking the perfect roast, this ASKO Series 7 wall oven introduces users to an entirely new and enjoyable cooking experience. 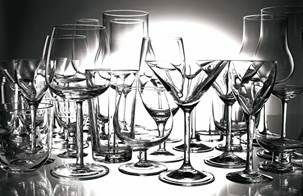 ASKO products are long-lasting, energy-efficient and built using sustainable technology and recyclable components. 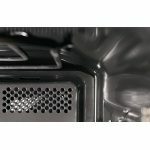 · Fifteen oven functions including defrost, multi-phase cooking, auto roast mode and plate warming. · Integrated design features that include a stainless-steel finish, extra-large oven cavity, adjustable feet and child safety lock. 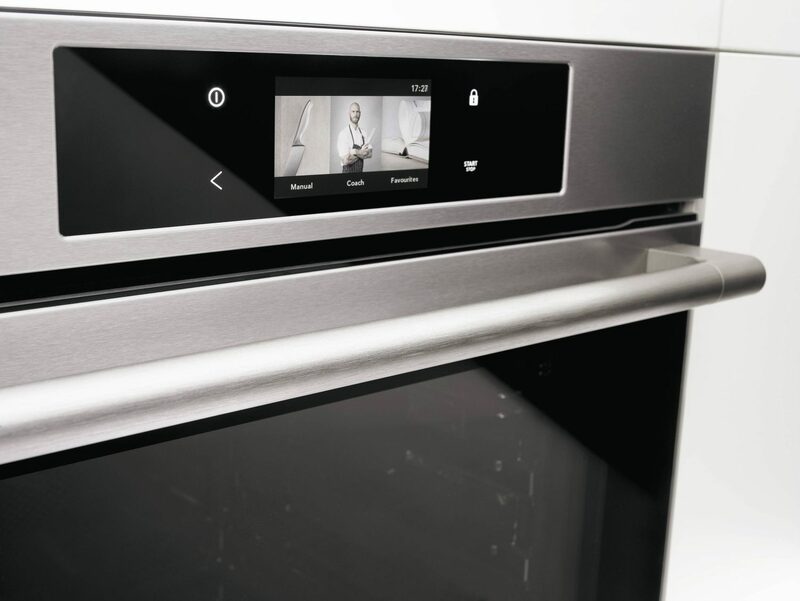 · Interactive touch screen digital display for exploring ASKO wall oven potential and personalising cooking options. · Adjustable telescopic oven guides, 5 baking levels and 2 interior lights for precise baking, roasting and grilling. 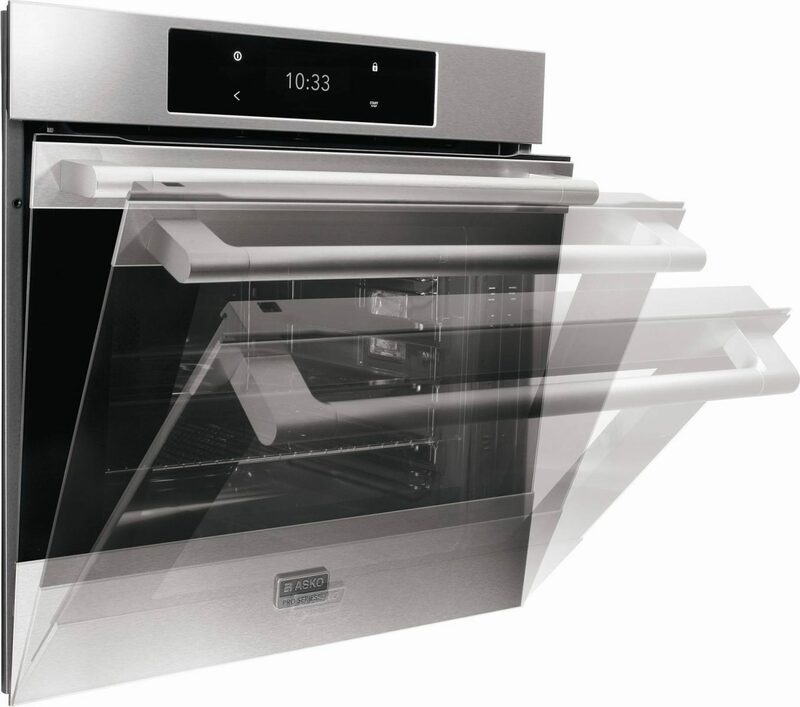 · Safety features including a soft closing, ultra-cool door, active oven cleaning and kid safe lockable controls. 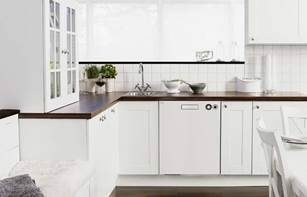 Scandinavian design principles are the benchmark for kitchen spaces that create a welcoming environment. 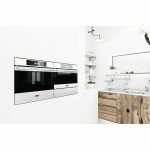 In addition, as with all quality appliances, ASKO ovens conceal incredible power and versatility within the minimalistic design. 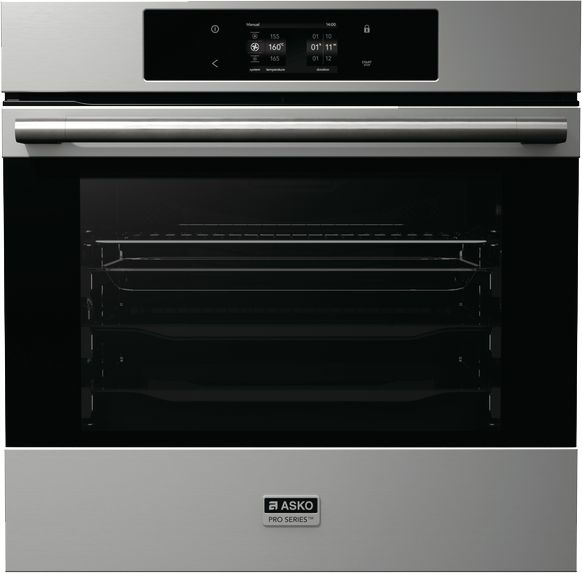 Once you explore the full capability of the ASKO OP8676S Pro Series Oven you will never look back. 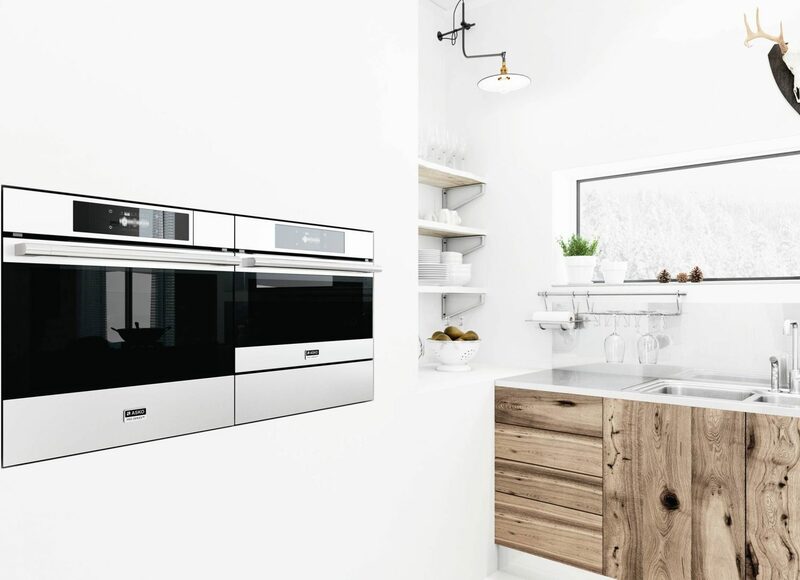 Appliances that are simple to use, robust and versatile display the hallmarks and timeless appeal of ASKO ovens. 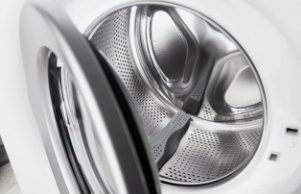 Kitchen and laundry innovations have resulted in an upsurge of smart appliances, and ASKO is at the forefront of change. The LED digital display is easy to read and simple to program, allowing chefs to multi-task while the oven follows commands. 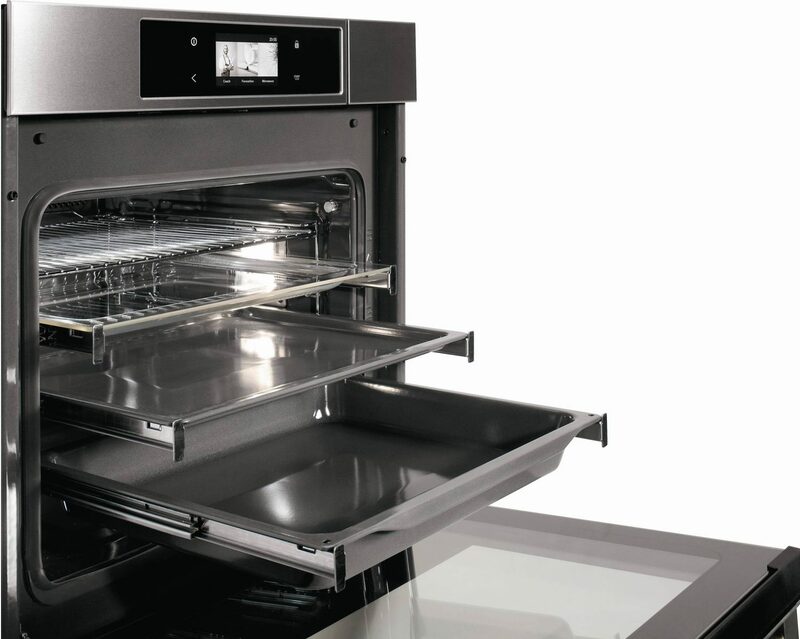 The Pro Series Oven can even be pre-programmed for step-cooking that automatically adjusts during the cooking process. Convenient finger-tip control provides access to a huge range of pre-set meal cooking programmes, an archive of favourite recipes, and much more to explore. Professional mode: The versatile mode that allows the user to select all settings and personalise the cooking experience. Automatic mode: If you are unsure exactly how to cook a particular dish, just select the type of food you want to prepare and the oven will provide automatic and adjustable settings for quantity, level of doneness and cooking completion. 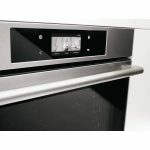 My recipes: The powerful ASKO oven memory allows you to save your favourite recipes for easy retrieval so you can prepare food exactly the way you like it, every time. The preheat function is the same as that found on commercial quality ovens. 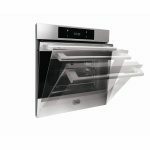 The digital display is accompanied by an audible signal when preheating is complete, eliminating the guesswork associated with outdated ovens. 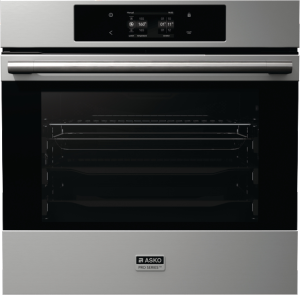 When using an ASKO oven, your cooking can be programed every step of the way for perfect results. 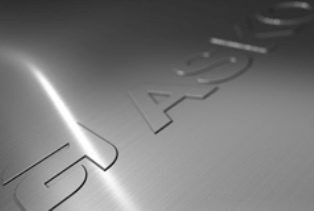 ASKO are the technologically advanced appliance manufacturers. 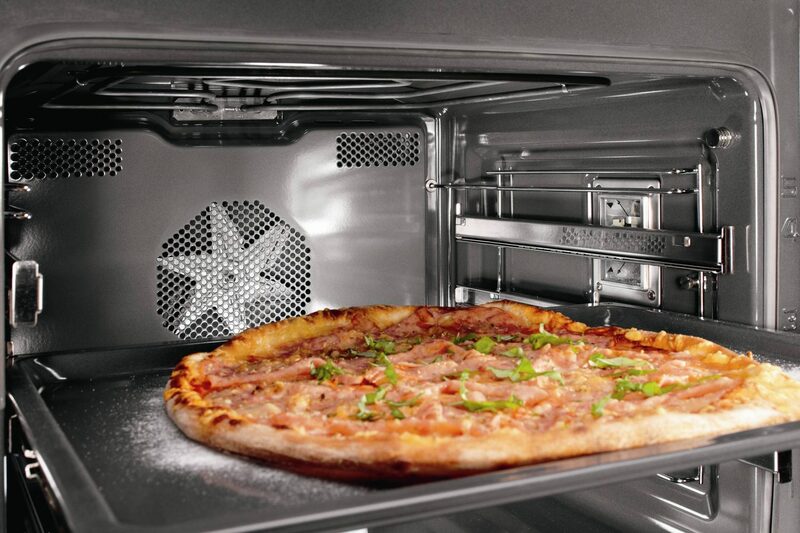 The Pro Series Oven versatility is obvious once cooking commences. 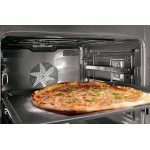 This pyrolytic electric oven uses every centimetre of its XL cavity space for producing exacting cooking results. Heating elements can be used individually or in tandem to create perfect casseroles, breads and savouries. 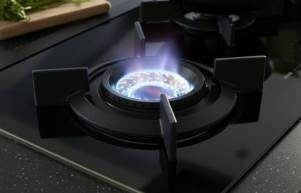 Using the bottom heater and hot air together, for example, is the perfect way to achieve succulent pizza, pastry, shortcrust and fruitcakes, while the large upper grill and heater is the ideal setting for preparing open sandwiches and toast. ASKO ovens mimic traditional wood fire oven airflow, ensuring food is cooked evenly and economically. 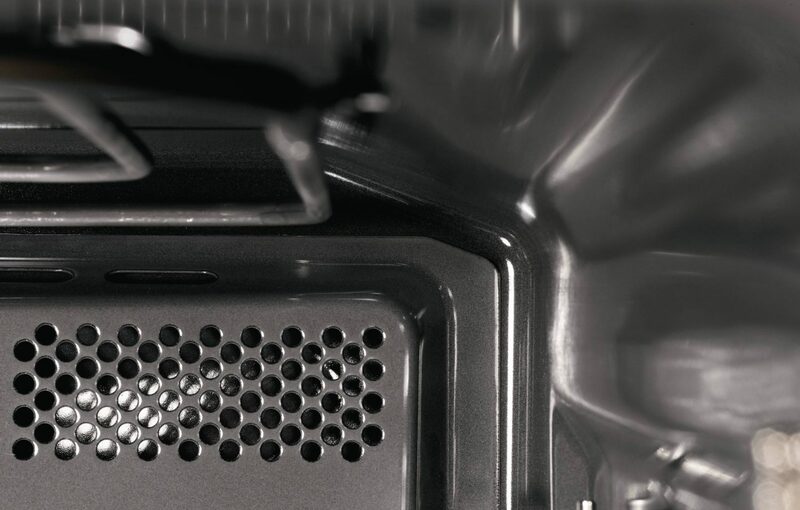 The oven even has an eco-cooking mode to optimise power consumption during the process. 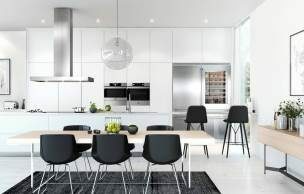 Modern home design includes expansive kitchens where entertaining and socialising has returned to prominence in keeping with the evolution of food trends. ASKO has been a major influence, with a seamless appearance and quiet efficiency producing the goods, while you take the credit for a high level of cooking perfection.